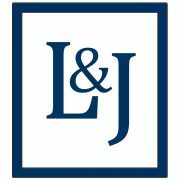 October 2015 - La Cava & Jacobson, P.A. Lou La Cava obtained a dismissal of his client in a medical malpractice case filed in Polk County. The Plaintiff alleged that a neurosurgeon failed to appropriately repair an odontoid fracture by utilizing an anterior surgical approach rather than a posterior approach. Plaintiff also alleged that the procedure was performed negligently by misplacing a surgical screw which allegedly caused the plaintiff neurological damage. After extensive discovery and exposing numerous flaws in the Plaintiff’s case, the Plaintiff filed a dismissal of the case with prejudice and no settlement was paid on behalf of the Defendant neurosurgeon.